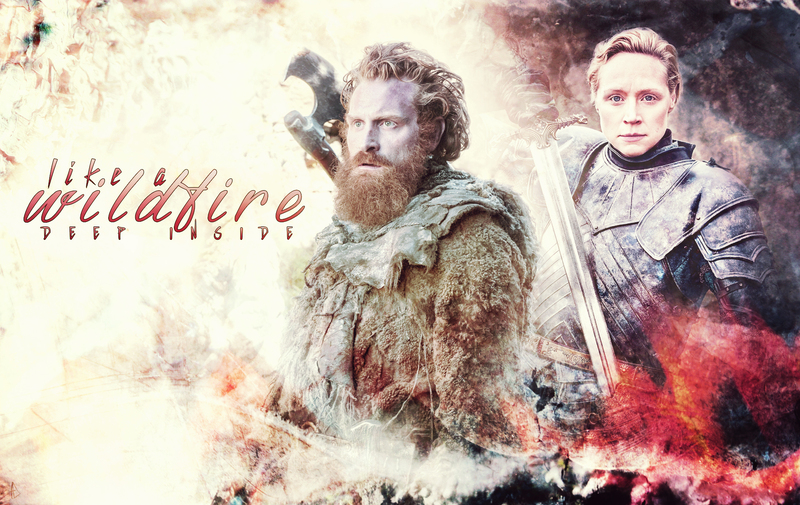 Tormund Giantsbane & Brienne of Tarth. . HD Wallpaper and background images in the गेम ऑफ थ्रोन्स club tagged: game of thrones season 6 kristofer hivju tormund giantsbane gwendoline christie brienne of tarth. This गेम ऑफ थ्रोन्स wallpaper might contain मोबाइल फोनों के लिए, हास्य पुस्तक, मंगा, कार्टून, एनीमे, कॉमिक बुक, and manga.